Guests come to your church for many reasons, with many different interests and goals. That means they’ll have different questions they need answered as they decide to join your church. Additionally, there is information a guest should know about your church that isn’t even on their radar yet. So how do you handle that? 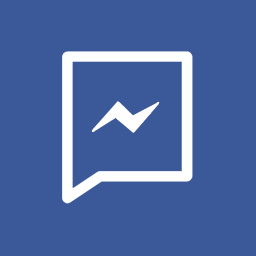 How do you give people answers to the questions they’re asking, and also the questions they haven’t yet asked, but soon will? 1. Create an opportunity for face-to-face interaction with another person. The goal of every great guest ministry is to create opportunities for face-to-face interaction between guests and other people in your church. Guest Welcome Packets are an opportunity to have that face-to-face interaction with a guest, introduce yourself, and also collect some contact information from that guest so you can follow up after their visit. A first visit to a church can be very overwhelming. Guests don’t always remember all the questions they had, nor, many times, do they even know what to ask. 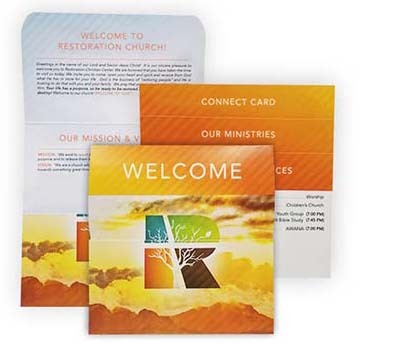 Guest Welcome Packets are a simple, portable, and attractive tool designed to match your church branding for giving guests the information they need to know about your church. 3. There is a science behind paper. While there is a strong temptation to just point people to your website or app, sometimes the simplest answer really is the best answer. Welcome Packets aren’t reliant on technology, or asking someone to download an app from an organization they don’t yet know or aren’t part of. Additionally, as sales of eBooks and digital media continue to decline, multiple studies have found that comprehension and information retention is higher from physically printed material, and paper satisfies a tactile sensation that many people prefer. A Guest Welcome Packet is a physical representation of everything your church has to offer. The information in a high quality, highly customized Guest Welcome Packet is more likely to be retained and create a subliminal sense of physical satisfaction with your church. As a leader in your church, you know there is an incredible amount of information and questions a guest could, and likely should have for your church. As our culture becomes increasingly post-Christian, people are less likely to have a prior spiritual experience they can relate your church to. That means information about beliefs, schedules, ways to build friendships, and even ways a church invests in its community all has to come as new information from you. Otherwise, many guests have no context for knowing that information should or does exist. Now that you know all the great things a Welcome Packet can do for your church, the next great question is: How do you create a custom Guest Welcome Packet that matches your church? We have many unique styles. We make our Guest Welcome Packets completely custom for you and can dajust colors to match your brand. Insert sheets are printed with your information, telling guests about your church. and contribute to their satisfaction with their visit? and we’ll talk you through next steps.